As the days turn cooler here in New Mexico, and nights drop below freezing, I cling to thoughts of the beach. The last time I was on the beach was last month. 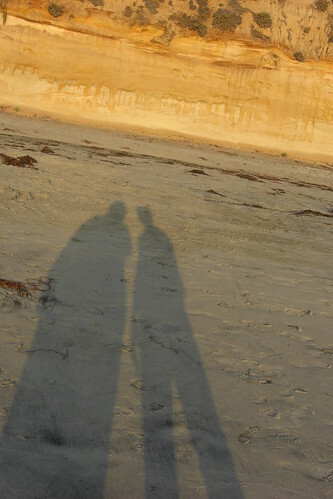 The tide was low, and the sun was sinking, warm on my face and my sister was by my side. I was going to write this long insightful post about reinventing myself in Albuquerque, instead, I give you the shoes. This video made me cry also…. but because it is so beautiful… watch for yourself then you’ll know what I mean.